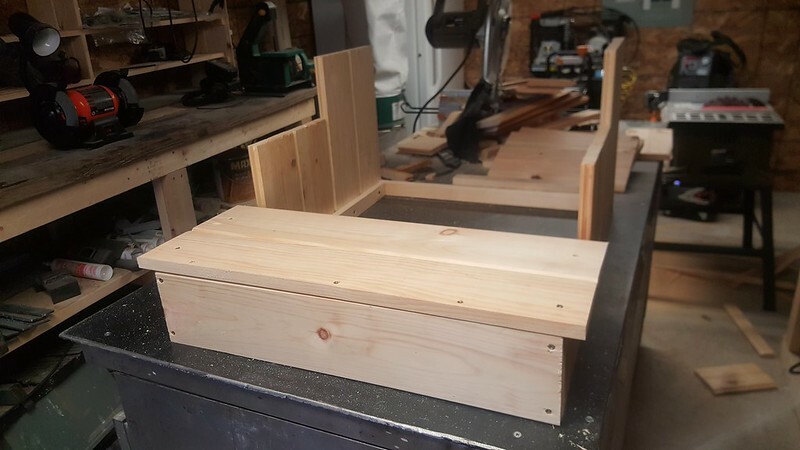 For those of us with more vertically challenged canine friends the use of dog steps as they get older or become injured can become a necessity. 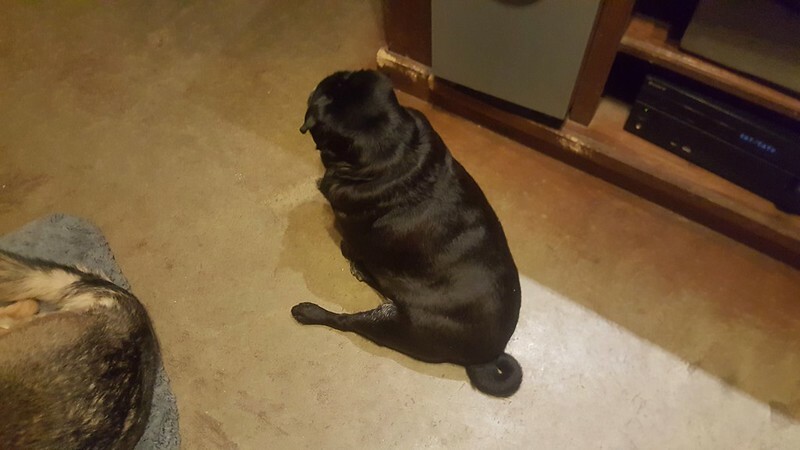 Our little pug has developed an issue with his knee cap which makes it difficult for him to jump up and down off our couch. 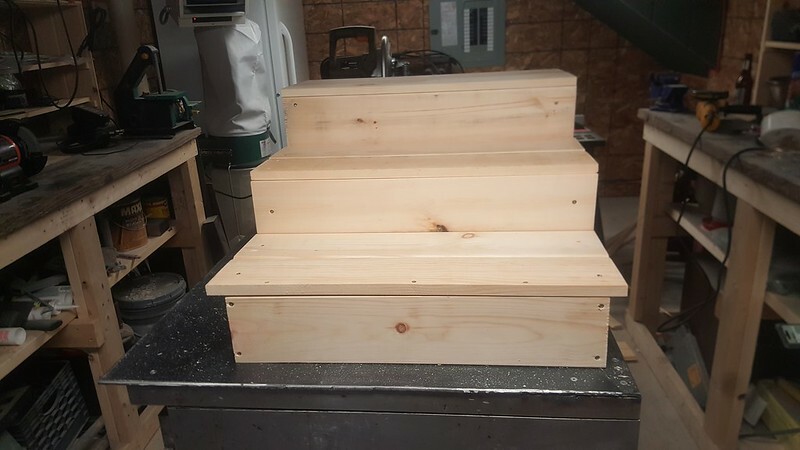 Since we just finished up our new workshop my wife asked me to build him a set of dog steps until his knee gets better. Poor little fella. 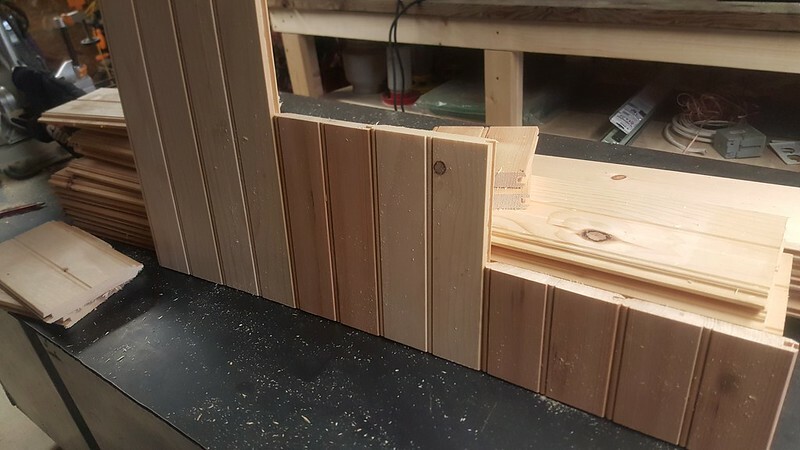 I had some scrap pieces of T&G pine laying around from when we built the workshop so I decided to use that. 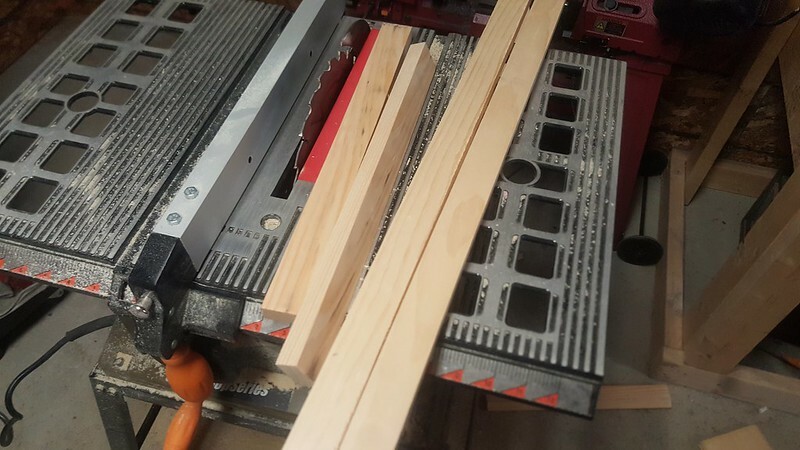 Start by cutting the 5, 10 and 15.5 inch pieces. These will act as your sides. Rip down the groove of two of the 5 inch and the tongue off two of the 15.5 inch pieces. 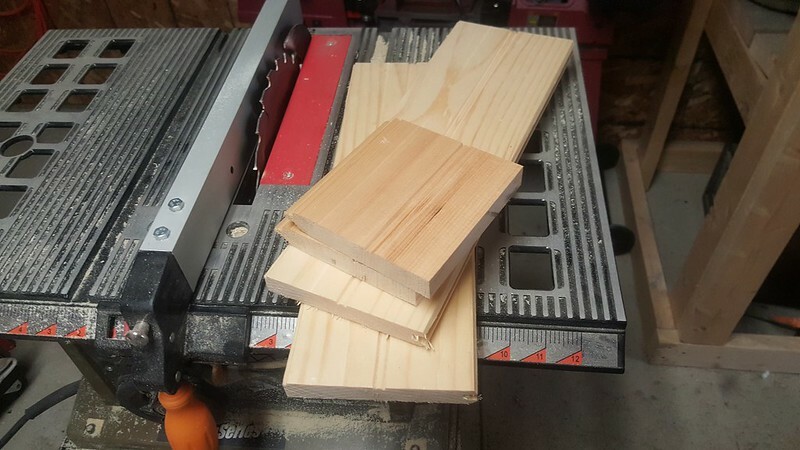 Rip down the 32 and 22.5 inch piece so that you end up with four 1.5 inch wide pieces. 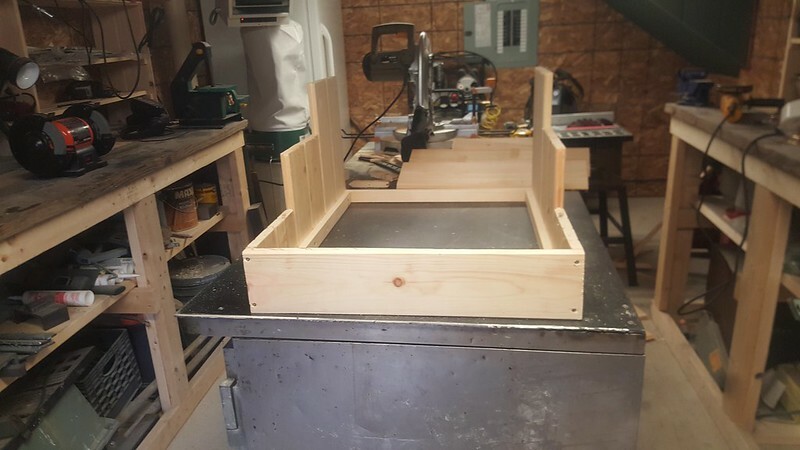 Lay out one side and set the 32 inch rail at the bottom and offset it at the ends by 3/4 of an inch. 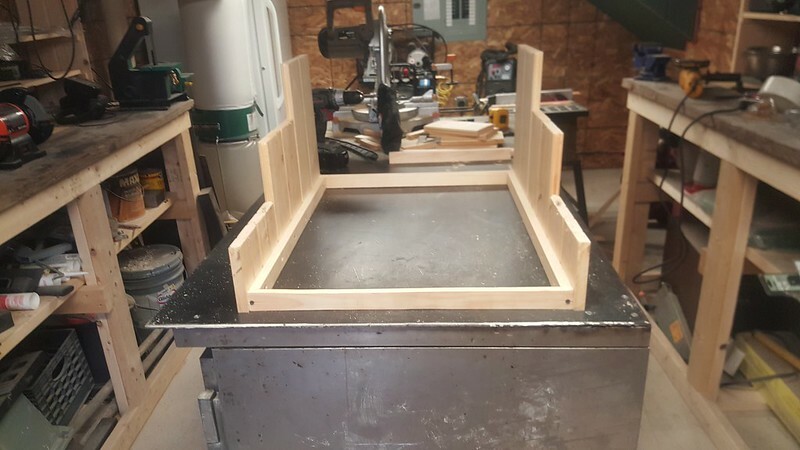 Make sure to set the flush faces of the T&G you ripped on the front and back and screw it down. 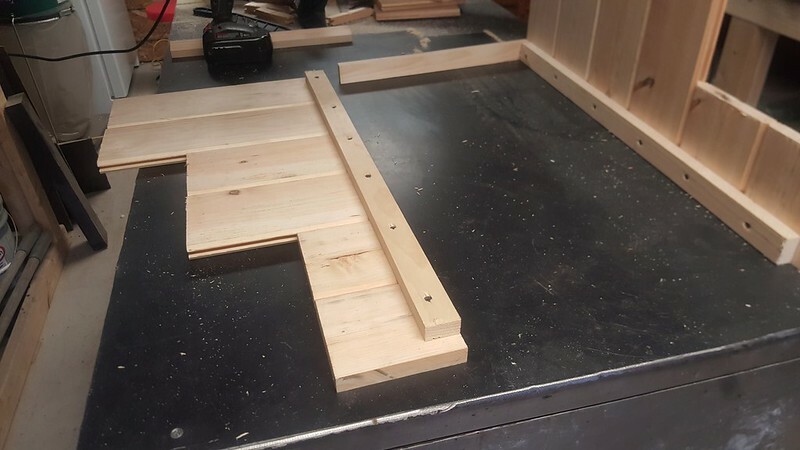 Lay out the other side and attach the rail. 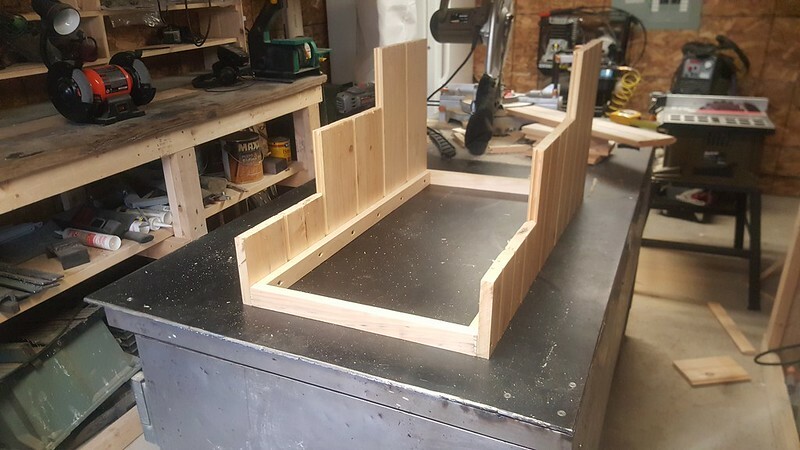 Stand up the sides and screw in the front and back rail. At this point I was feeling pretty good about myself, I originally used 16 inch rails on the front and back when my wife came down and asked for it to be wider. Sure thing! 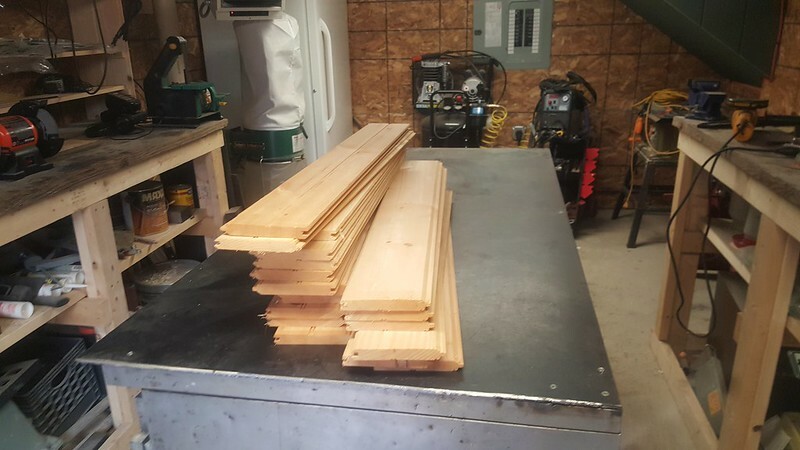 So I ripped down the 22.5 inch rails. Happy wife, happy life. Rip down the tongue of the 24 inch piece and screw it down as a kick plate. 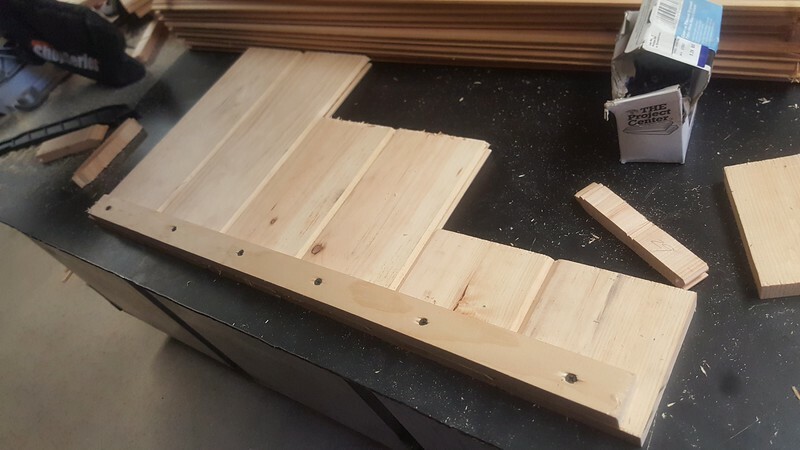 Rip down the groove of one of the 26 inch pieces and start attaching your stairs. Repeat the process until you have all the steps completed. 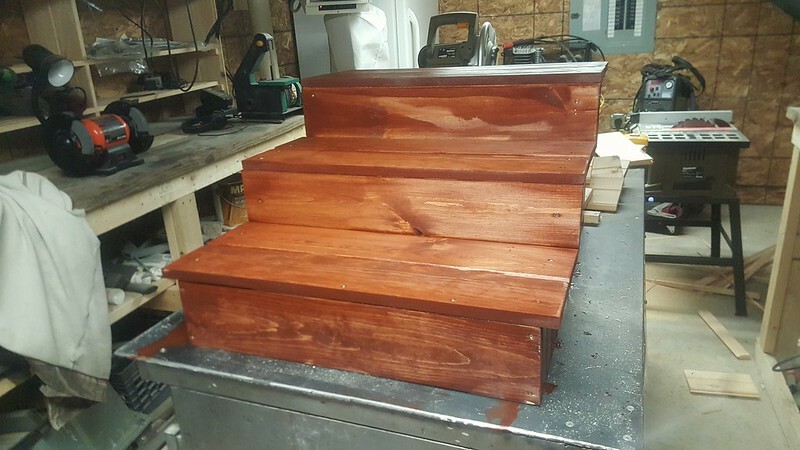 Stain with the color of your choice. 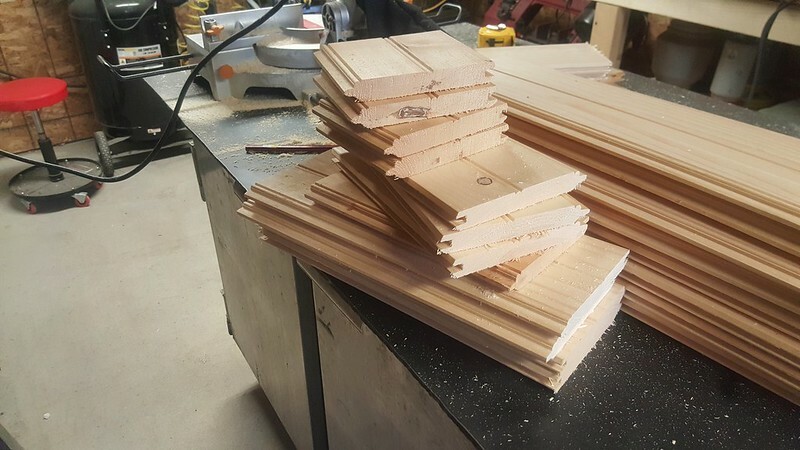 It takes about an hour or so to build and should last alot longer than the fifty dollar ones that you can buy at walmart or amazon. 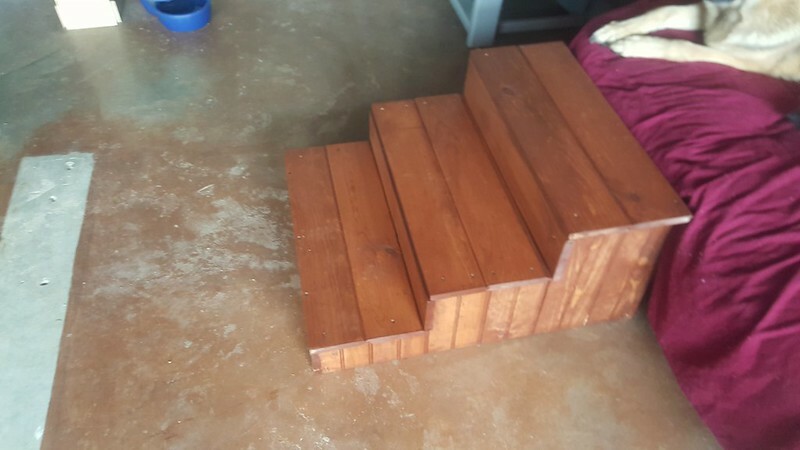 So if you need a set of dog steps for your little friend take a look around the house and see what you can repurpose to make your own.